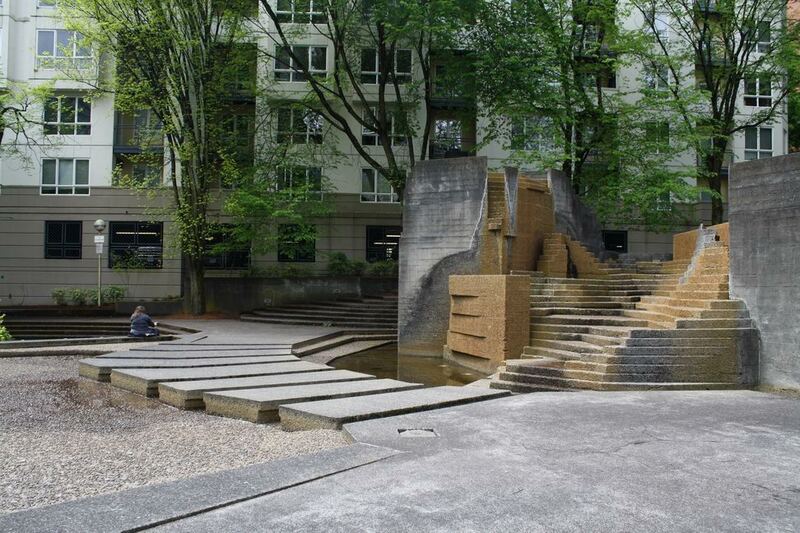 Lawrence Halprin (1916-2009) was a prominent American landscape architect who designed many modernist parks, plazas, fountains, and other projects, primarily in the 1960s and 1970s. 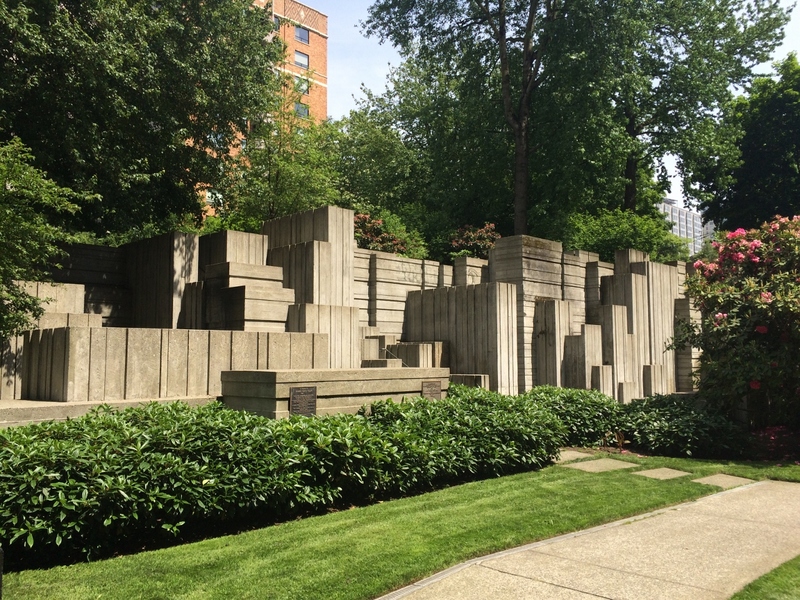 Many of his works feature poured-in-place concrete forms and running water that represent natural elements and processes. 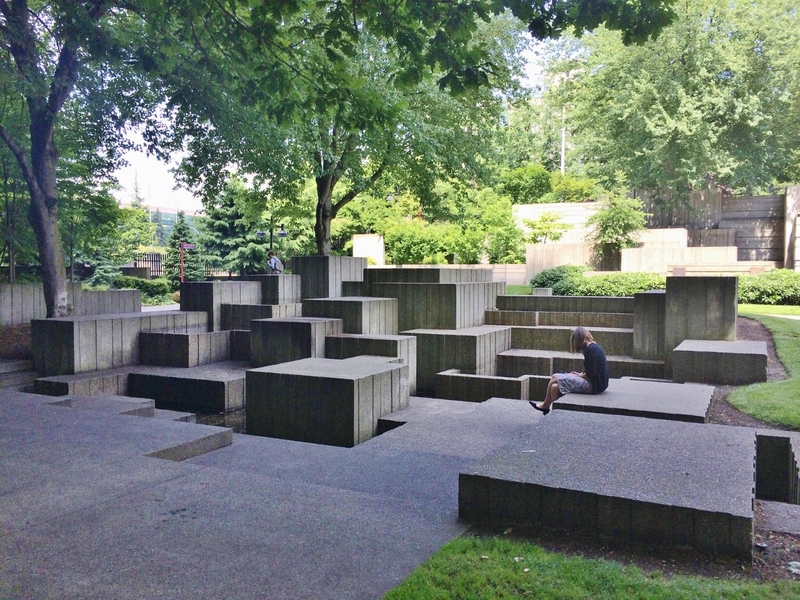 In Portland, Oregon, Halprin’s firm designed a series of three public spaces, which I visited in May of this year. The water in the fountains had been turned off at that time, but presumably would be back on during the summer months, since the fountains are meant to be accessible. 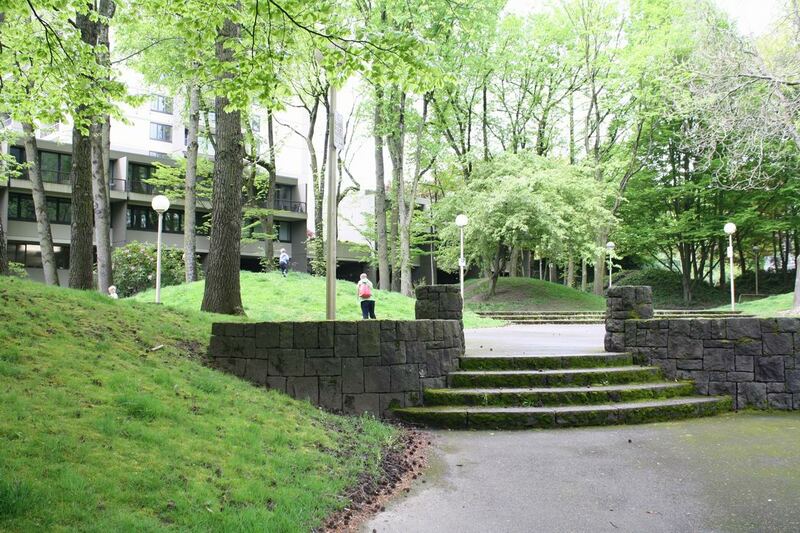 Sadly, some notable modernist landscapes have been poorly-maintained and at risk of demolition and re-design. 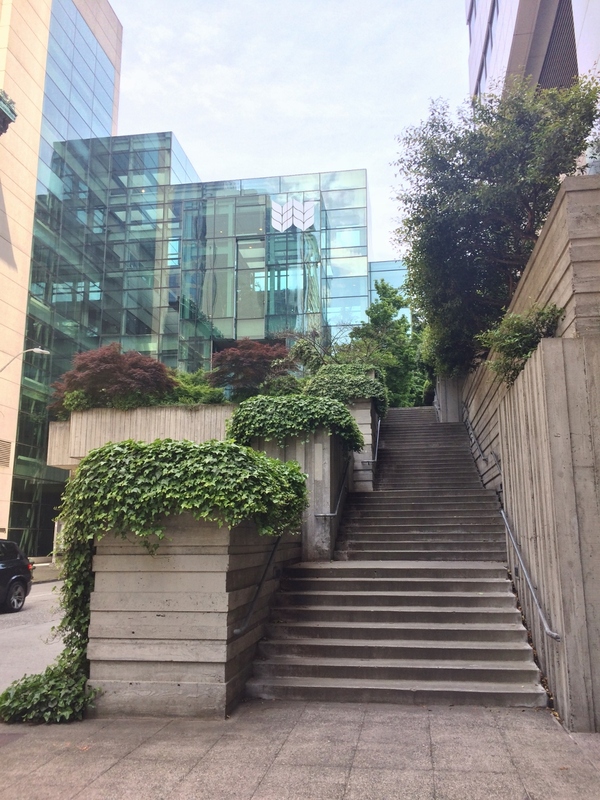 Several of Halprin’s works have been threatened in this manner, but The Cultural Landscape Foundation has brought attention to these and other endangered landscapes through its Landslide education campaign. 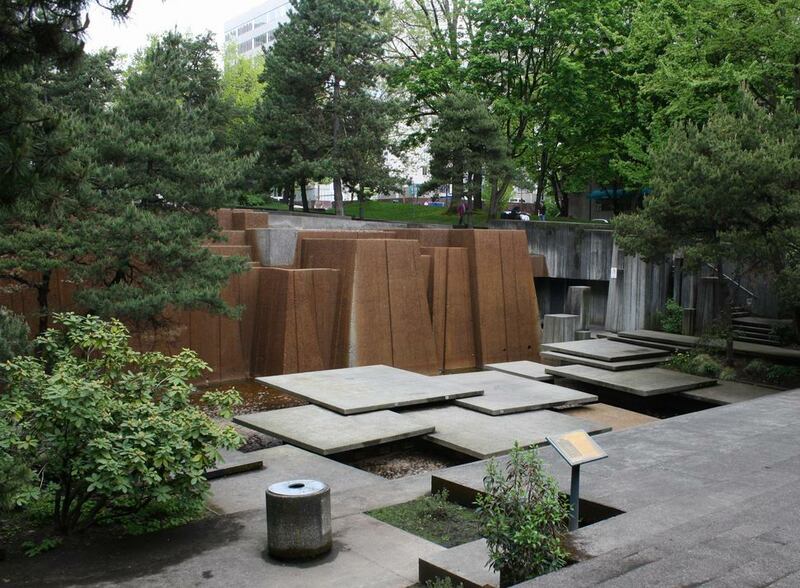 So far, Halprin’s Portland parks have not been considered at-risk. 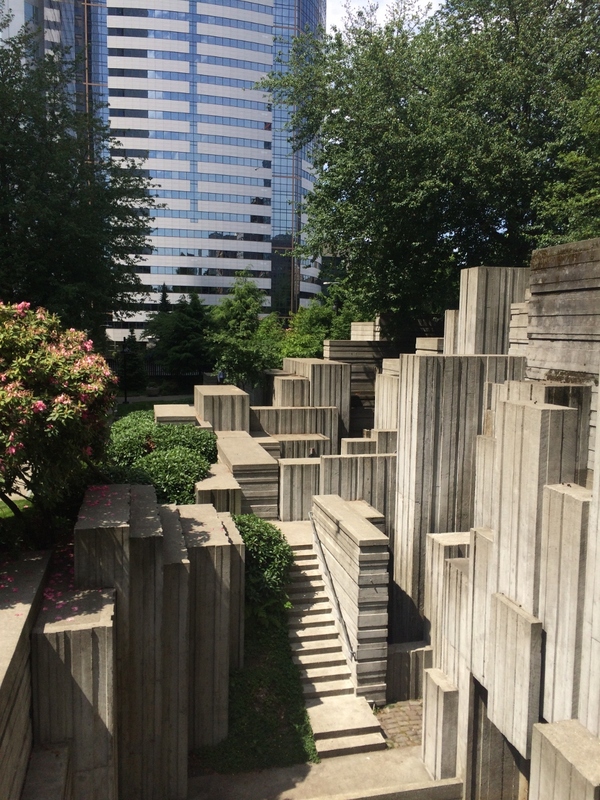 Keller Fountain Park: The design of the Ira Keller Fountain (water turned off at time of photo) was inspired by the waterfalls of the Colombia River Gorge. 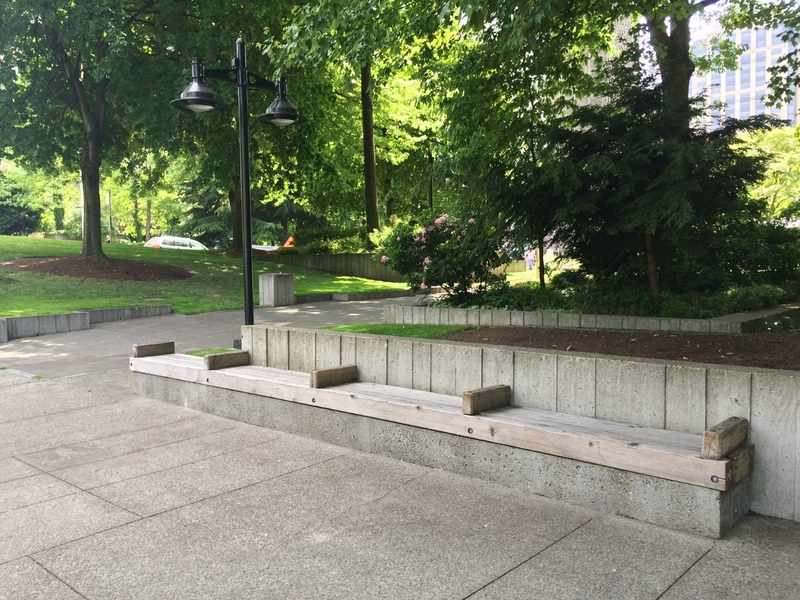 Keller Fountain Park: The fountain was designed to be accessible and therefore has 36” safety barriers along the edges. 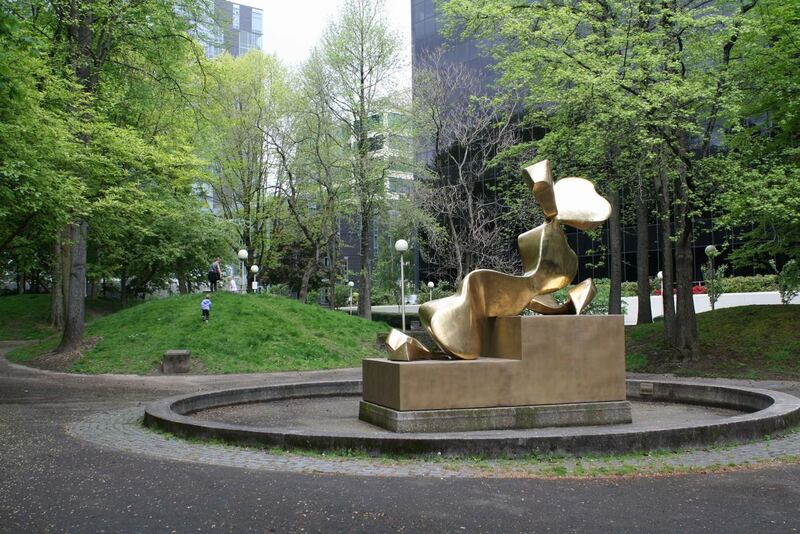 Pettygrove Park includes this sculpture called “The Dreamer” by Manuel Izquierdo. 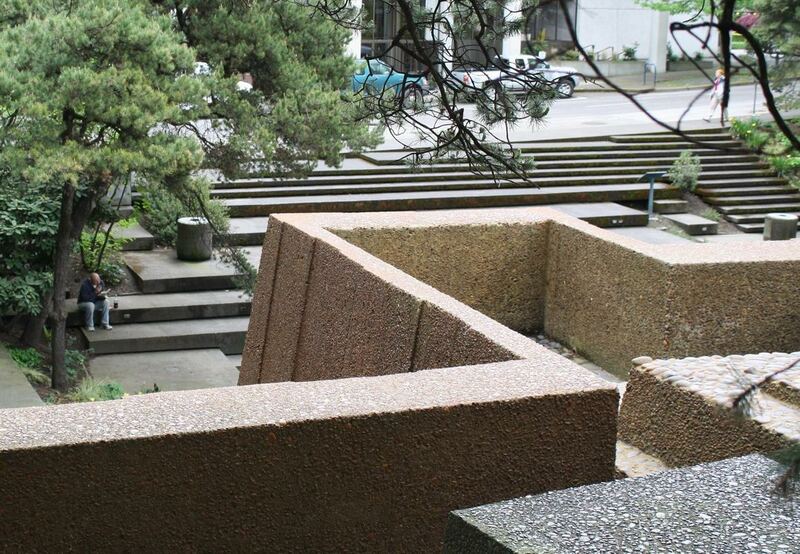 In summer the pool surrounding the sculpture is filled with water. 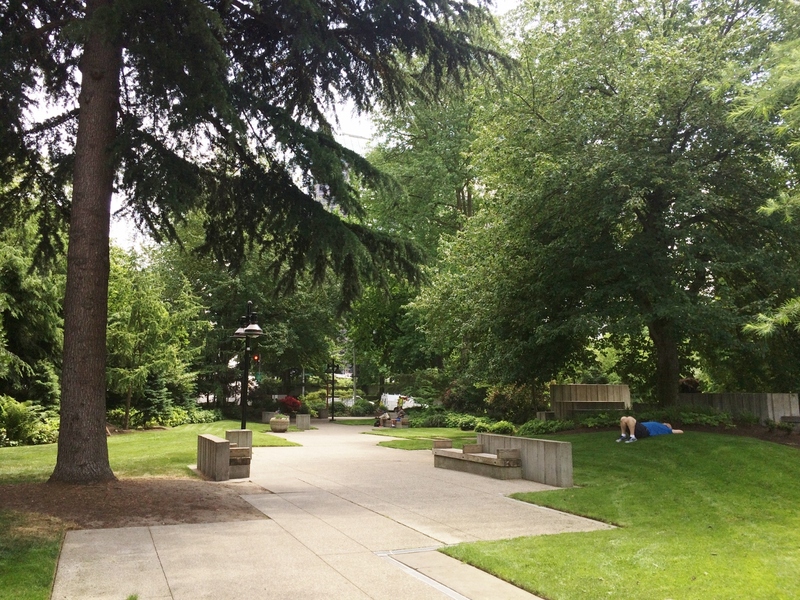 Pettygrove Park features circular and curvilinear forms, and includes numerous grass mounds. 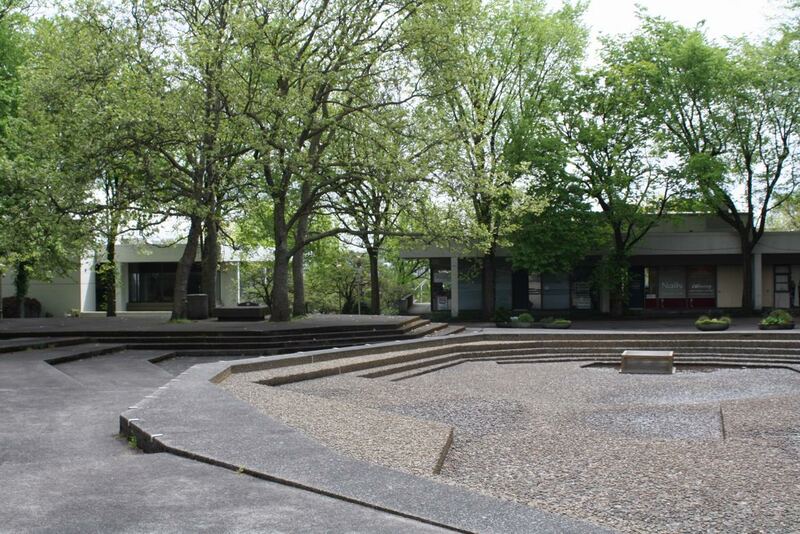 Lovejoy Fountain Park: The lower pool of the fountain is in foreground, with modernist-style buildings lining the east edge of the park. 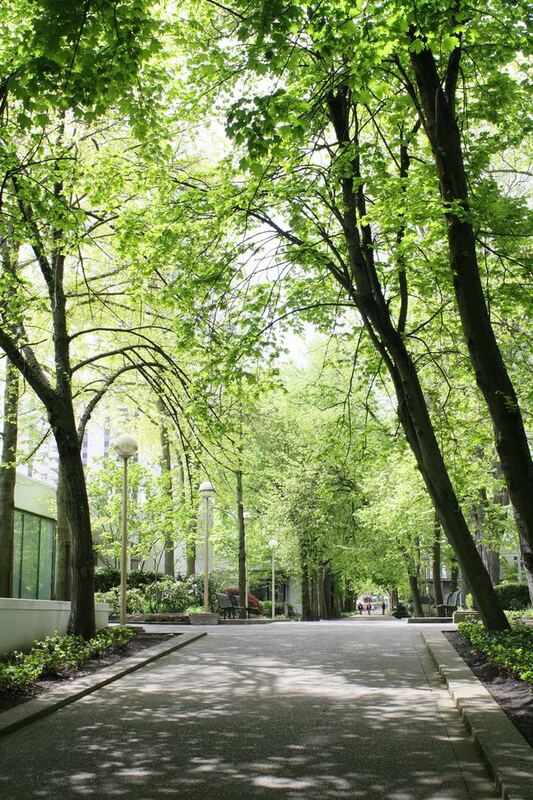 Pleasant pedestrian walkways connect the Halprin parks in Portland.